Foxconn's Zhengzhou factory —where about half of all Apple's iPhones are made —exists in large part because of billions of dollars in handouts and tax breaks from the Chinese government, a report pointed out on Thursday. Some $1.5 billion alone was provided by local government to help Foxconn build worker housing and large portions of the factory, the New York Times said. It continues to offer money against energy and transportation costs, while paying bonuses for meeting export targets, and even helping the company recruit and train new staff —with hiring subsidies to boot. The full extent of Foxconn's government backing is uncertain, as subsidies haven't been publicly disclosed by either party. The Times' information is said to come from secret government records, as well as interviews with over 100 people, ranging from truck drivers through to tax specialists and both current and former Apple executives. Officially, Apple told the Times that while it was aware of Foxconn getting infrastructure aid, it hasn't been party to the manufacturer's talks with government, and isn't aware of any specific grants, subsidies, or tax breaks. 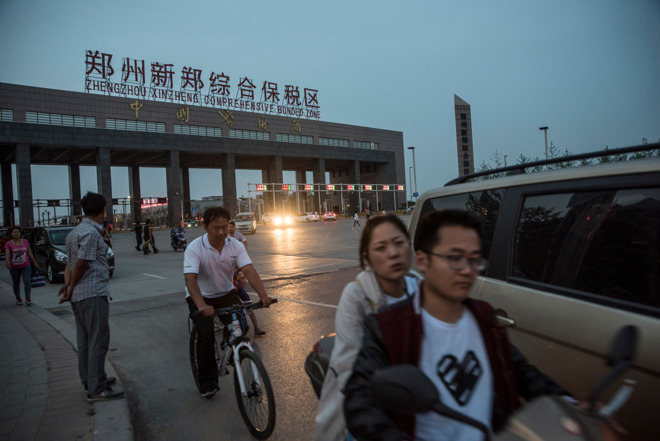 The city of Zhengzhou allegedly let Foxconn skip both corporate and VAT taxes for five years, with a promise of halving rates for the following five. Similarly, it lowered the amount of money it took in social insurance and other payments by up to $100 million per year, and granted a $250 million loan. It has even paved roads and built power generators and pipelines, and offered a 5 percent discount on energy bills. Over $10 billion was spent on expanding an airport just miles away from the Foxconn factory. Apple has taken advantage of low Chinese manufacturing costs to keep profits high, while deflecting concerns about labor, safety, and environmental issues. The company has worked to address those problems, but hasn't completely rectified them.